Tom Coker coached tennis at Bradley University for 27 years after compiling an outstanding record as a tennis star in his undergraduate days at Bradley. Coker ranked among the top 32 singles players in the NCCA while a player at Bradley in 1935 and advanced further in the NCAA tournament than anybody in Peoria tennis history. As a collegian he was the Little 19 singles and doubles champion for two straight years. Between 1935 and 1953 he won over 250 championships throughout the Midwest including the Illinois-Indiana Invitational, the Central Illinois tourney at Decatur, the Peoria Star Invitational, the Moline Centennial tournament and the Burlington, Iowa, Invitational. 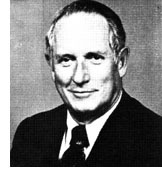 As Bradley's tennis coach for 27 years (1957-83) his teams won 314 matches and lost 199. His 1968 team was 16-0 in dual matches, winning the Missouri Valley Conference championship and finishing 26th in the NCAA championships.